SWR Couplers are available in 75 mm and 110 mm made in virgin material. SWR Single TEE is available in 75 mm and 110 mm, made from virgin material. SWR Double TEE Plain is available in 75 mm and 110 mm, made from virgin material. SWR Bend 45° is available in 75 mm and 110 mm, made from virgin material. Single Wye Plain is available in 75 mm and 110 mm, made from virgin material. SWR P-Trap is available in 110 X 110 mm and 110 X 125 mm sizes, made from virgin material. S-Trap is available in 110 X 110 mm and 110 X 125 mm sizes, made from virgin material. SWR Nahani Trap is available in 75 mm outlet, made from virgin material. SWR Reducer is available in 110 X 75 mm size, made from virgin material. SWR Plain Bends are available in 75 mm and 110 mm made in virgin material. 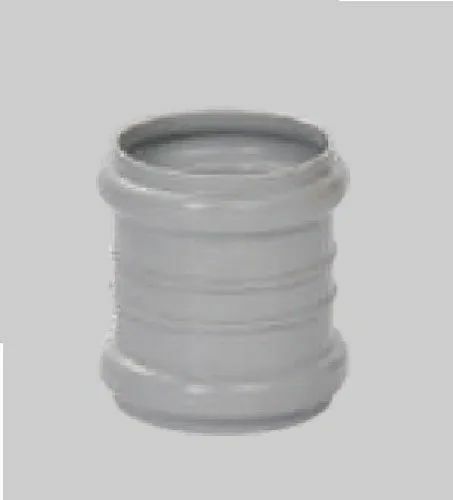 SWR Pipe Clips are available in 75 mm and 110 mm, made from virgin material. SWR Reducing TEE is available in 110 X 75 mm size, made from virgin material. SWR Cleansing Pipe is available in 75 mm and 110 mm, made from virgin material. SWR Multi Floor Trap is available made from virgin material. SWR Reducing WYE is available in 110 X 75 mm size, made from virgin material. SWR Reducing Wye 110 X 75 mm is available , made from virgin material.